Have you ever noticed your dog scratching hardly when he is just resting indoors? If you are sure your dog doesn’t have worms, chances are pretty high that it is flea infestation. These small dark brown insects prefer temperatures of 65-80 degrees and humidity levels of 75-85 percent — so for some areas of the country they are more than just a “summer” problem. 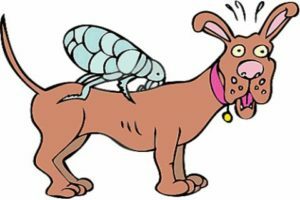 Dogs and cats often get infested with fleas through contact with other animals or contact with fleas in the environment. The strong back legs of this insect enable it to jump from host to host or from the environment onto the host. The flea’s bite can cause itching for the host but for a sensitive or flea-allergic animal, this itching can be quite severe and leads to hair-loss, inflammation and secondary skin infections. 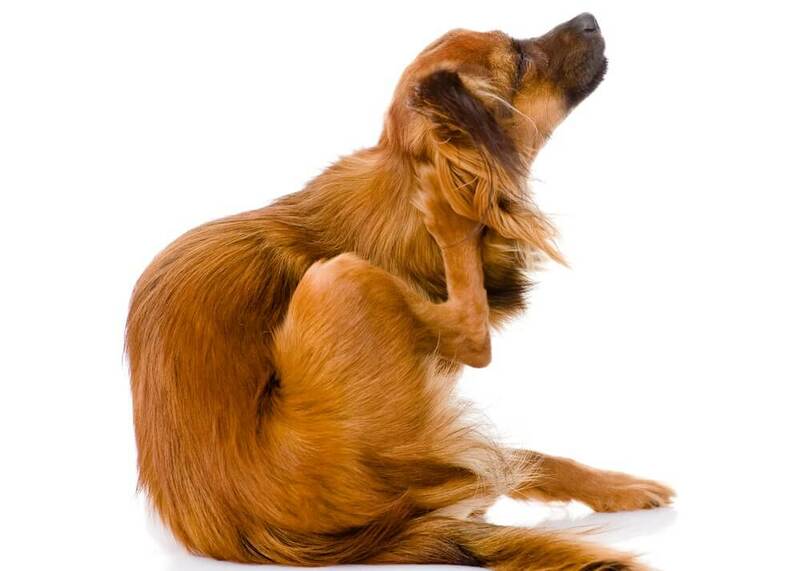 Some pets, hypersensitive to the flea’s saliva, will itch all over from the bite of even a single flea! Luckily you can do many things to get rid of that problem. You can wash your furry friend with an insecticide or with special shampoo. There are some other ways to end the nightmare. We recommend you to put a flea collar on your dog in order to permanently solve this issue. Flea collars vary greatly in quality, and many of them have a limited range of activity, only killing fleas that are near the collar (around the dog’s head and shoulders). However, high-quality flea collars can help repel or kill fleas when used properly. The Seresto collar is non-greasy, and helps avoid the hassle of applying monthly treatments. It is easy to use. Application is easy. 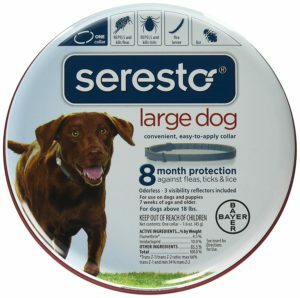 Seresto takes minutes to adjust on your dog, and provides treatment that lasts 8 months. Slip two fingers under the collar to determine if it is snug enough without being too tight. Cut off any excess length from the collar after you put it around the dog’s neck. Do not let the dog chew on the end of the collar. Familiarize yourself with the label instructions so that you know how long the collar should last and what to avoid. Some collars become less effective when wet. Monitor the dog’s neck beneath the collar and remove the product if its skin becomes irritated.